Clinagel Vet Eye Gel is a topical medication effective in the treatment of superficial eye infections in cats and dogs. 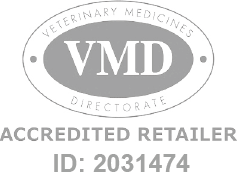 Clinagel Vet Eye Gel is a Prescription Only Veterinary Medicine and by law requires a prescription from your vet. Clinagel Vet Eye Gel is a topical medication effective in the treatment of superficial eye infections in cats and dogs. Bacterial infections of the eye, such as conjunctivitis, are common among dogs. Treatment with Clinagel Vet Eye Gel reduces irritation and reddening associated with the condition by soothing the hypromellose base. When applied as directed by your vet, the active ingredient, Getamicin, is a safe and effective treatment of both acute bacterial eye infections. Clinagel Vet Eye Gel is manufactured by Ceva Animal Health and developed specifically for dogs. As such, it must never be used in other animals.